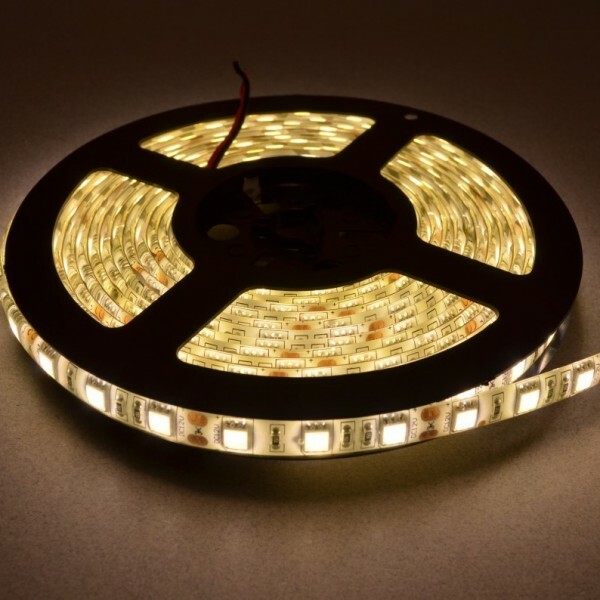 This roll of Warm White LED Strip Light is 5 meters long and has 60 LEDs per meter. Both ends of this 5 meter roll have wires pre soldered so connecting is a breeze. Cut lines are spaced every 5cm so it can be cut very close to a desired length. 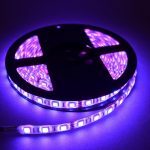 The LEDs are protected by a thick, transparent, silicone jacket and the backing has double sided 3M adhesive tape which makes installation quite easy. 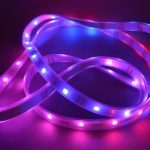 Powering the strip lighting is also simple – these strips operate on 12V so a simple power supply or automotive battery can be used. Keep in mind that each meter of strip lighting draws approximately 1A – to power a full roll we suggest a power supply with at least 5A available. These lights are weather resistant and can be used for indoor and outdoor applications. 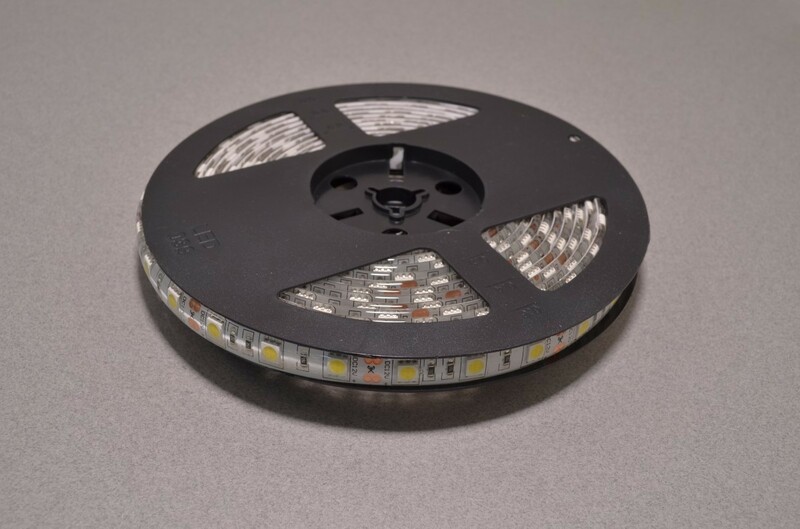 While they can be placed outdoor; these LEDs are not designed to be submerged under water or exposed directly to UV light (sunlight) so they should be sheltered from direct exposure to the elements. 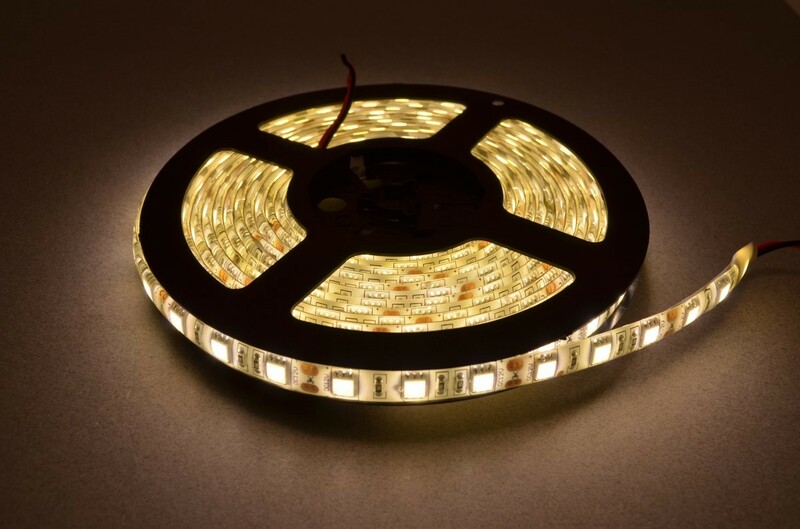 SKU: LEDS-008. Category: Strip Lights. 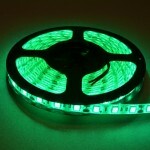 Tags: LED, Strip Lighting.